Writing this article is especially hard for me, as my 15-year-old dog Hana suffered and died from a brain tumor. But because of that, I have first-hand experience as to what to expect when a dog has a brain tumor. Like most forms of cancer, brain tumors can be either primary (originated and developed in the brain), or secondary (aka metastatic brain tumors). Secondary brain tumors occur when cancer cells spread to the brain from a primary cancer in another part of the body. The most common form of primary canine brain tumors is meningiomas, which are tumors that arise in the meninges which surround the brain and spinal cord. Other commonly reported primary brain tumors in dogs include undifferentiated sarcomas, gliomas, pituitary tumors, and ventricular tumors (eg, choroid plexus papillomas, ependymomas). 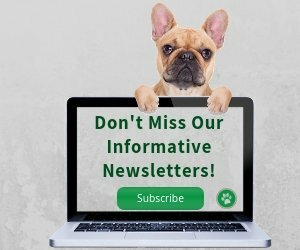 What are the Symptoms of a Brain Tumor in Dogs? Unfortunately, dogs with brain tumours show an array of signs and symptoms, depending on the part of the brain affected. However, one hallmark symptom associated with brain tumors in dogs is seizures, which can be severe. If an older dog (e.g. 10 years or older) has had seizures for a month or two but is otherwise healthy, suspect brain tumor. An unsteady gait and difficulty in climbing stairs and walking on uneven ground. Sudden and dramatic behavioral changes (e.g. a normally gentle dog may suddenly become aggressive; a normally quiet dog may bark incessantly). Change in appetite - Refusal to eat or excessive eating. Loss of eyesight, hearing and sense of smell. Getting lost in previously known places and not recognizing familiar faces. Having "accidents" in the house even though the dog has been toilet trained. Whining or whimpering (due to pain). Scratching or shaking head or rubbing it against objects. In my dog Hana's case, she was healthy and fine up until two months prior to her death! She didn't show any symptoms until one day she suddenly had something that looked like a stroke. She walked with an unsteady gait. Her head was moving from side to side as if she couldn't balance herself. She felt dizzy, had irratic eye movements, and vomited. Our vet at first suspected it was a case of old dog vestibular syndrome, and didn't give her any medication. Hana's conditions did improve in several days and we thought that it was indeed vestibular syndrome. However, about 2 weeks later, she had another stroke. This time, it was more serious. She couldn't go down the stairs, and would lose her balance even when she tried to get up. Also, she totally lost her hearing - literally overnight. Our vet suspected either vestibular or the possibility of a brain tumor, but he couldn't be certain without an MRI. Since Hana was 15, we didn't want to risk putting her under general anesthesia for the procedure. Hana didn't give up and tried hard to get better. With much training, she managed to get up and walk and finally climb upstairs by herself. Her appetite was good and she still enjoyed her walks and treats. Then about 3 weeks later, she suddenly had her first and last seizure. It lasted over 20 minutes and wouldn't stop even though our vet gave her 3 different anti-seizure injections. We didn't want her to suffer and decided to put her to sleep. Serious injuries and trauma to the head. Exposure to radiation and electromagnetic field. Age appears to be a risk factor for brain tumors in dogs. Ninety-five percent of canine meningiomas occur in dogs over 7 years old. It has also been found that overweight dogs have higher risks in developing canine brain tumors and the mortality rate is higher as well - another reason to keep your dog's weight in check! Brachycephalic (short-nosed) breeds such as Boxers, English Bulldogs, and Boston Terriers, seem to have the highest incidence of brain tumors among dogs and other domestic animals. For some reasons, these short-nosed breeds are especially prone to glial tumors. It has also been found that the incidence of primary brain tumors in Golden Retrievers is rather high. Golden Retrievers and dolichocephalic breeds (long nosed breeds such as whippets, great danes, bloodhounds, German shepherds, etc.) are particularly prone to meningiomas. In addition, other tests such as chest x-rays or ultrasound of the abdomen may be needed to see if the tumor has metastasized. Conventional treatment for brain tumors in dogs include surgery, radiation therapy, and chemotherapy. The proximity of the tumor to the surface of the brain. The proximity of the tumor to critical areas of the brain. Tumors that are on the brain surface are more likely to be removed successfully by surgery. To reach a tumor deep within the brain, a large area of healthy brain tissue will have to be cut through, the effect of which may be devastating for the recovery of the dog patient. Many dogs recover after surgery without much complication, although sometimes dog parents have reported some kind of "personality change" in their dogs after surgery. For a tumor that is deep seated and therefore poses significant surgical risks, radiation therapy can be used to slow down the growth rate of the tumor. Radiation can result in dramatic and rapid improvement of signs. Unfortunately, radiation alone usually cannot destroy the tumor completely. The dog patient may go into remission, only to suffer from a recurrence of tumor growth 8-14 months later. Also there may be some side-effects caused by radiation, such as occasional nausea, mouth ulcers, or ear infections. The therapy involves using a 3-dimensional ultrasound guidance system to accurately pinpoint the tumor's location. Because of the accuracy, radiation beams can be targeted precisely at the tumor cells, leaving the surrounding tissues unharmed. Also, since high-dose, precisely targeted radiation treatment can be given in one session, the dog does not have to be treated repeatedly over a period of several weeks as is required in other radiation treatment protocols. This is especially good news for older dogs since radiation treatment requires anesthetic to keep the dog patients from moving, and the single treatment avoids repeated anesthesia. As the brain is a very well-protected site, there are not too many drug choices that are effective in treating brain tumors. Recently, there is a drug called temozolomide that may be effective in treating gliomas. For other types of tumor, drugs are primarily used to lessen some of the symptoms caused by the tumor. For example, to reduce brain swelling, anti-inflammatory drugs such as prednisone will be prescribed. To control and manage seizures caused by the tumor, anti-seizure drugs such as phenobarbital will be used. By relieving some of the symptoms, the dog patient can feel better. 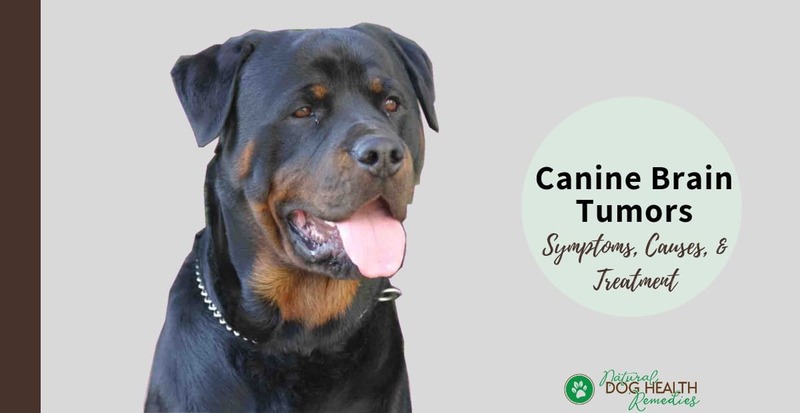 However, understand that these drugs do not destroy the tumor itself and the therapy may only give the dog patient temporary relief of a few months. Like any other types of cancer, canine brain tumors are best treated holistically. In particular, research has shown some promising results in the integrative treatment of brain tumors. Dietary management is essential and is a cornerstone for treating canine brain tumors holistically. In a study, it was found that a calorie-reduced, ketogenic diet (high fat, low carb) was able to significantly reduce tumor growth by 80%-86%. The ratio of fat:protein+carb in the diet used in the above study was roughly 6:1. Cancer cells consume glucose for energy and cannot utilize ketones so well (ketones are produced from fat by the liver as energy in place of carbohydrates.) Normal healthy brain cells can be energetically supported with a ketogenic diet, whereas cancerous tumor cells cannot. If your dog unfortunately has a brain tumor, talk to your vet about the possibility of changing the dog's diet to a reduced-calorie, ketogenic diet. 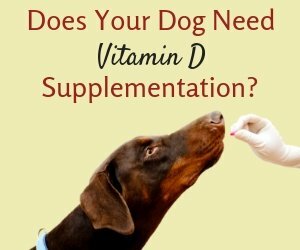 DO NOT start your dog on a ketogenic diet without consulting first with your vet. A high fat diet is not suitable for all dogs - for example, dogs prone to pancreatitis cannot tolerate too much fat. Curcumin: In one study, curcumin, an active ingredient of turmeric, has been shown to support cancerous glioma cell growth, limit migration of the cells, and induce apoptosis (cell death). Angelica roots (Dong guai): This Chinese herb is usually considered a "female herb" as it has traditionally been used to control menopausal symptoms. But a 2013 study that used the methanol extract of this herb to treat mice with gliomas has found that it could significantly reduce tumors by inducing cell death. 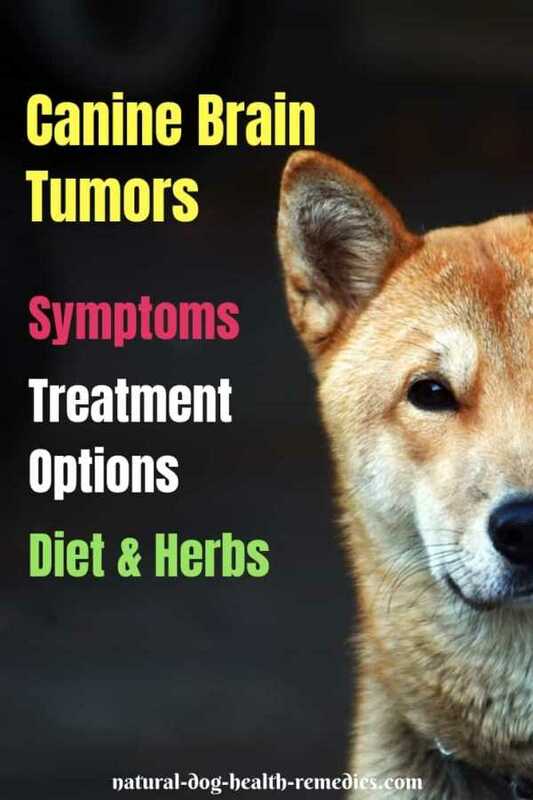 CBD Hemp Oil: Hemp oil may also be beneficial to dogs with brain tumors, as hemp oil has been found to have anti-seizure properties, and anecdotal reports from dog parents show that it may also help dogs with cancer. See this page for more information. 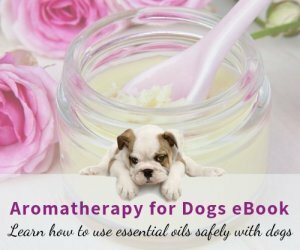 If your dog has a brain tumor, do consult with a holistic vet about the use of these herbs as part of the integrative treatment.